For older alerts and deadlines, please see our Deadlines and Alerts Archive. In case of any emergency while abroad, please write to Rutgers Global - ISSS at globalservices@global.rutgers.edu with “Emergency” in the subject line and provide a contact phone number in the email. A staff member will get back to any urgent messages as expeditiously as possible. If you are not able to make it during one of the above times, you can still get a travel signature by following the instructions on our website at our Travel and Visa Information page. We would like to advise all our students to be careful and alert during any travel – domestic and international, and be prepared to face extra scrutiny at visa issuing posts and at ports of entry. As always, follow all rules and regulations to maintain your legal status in the US. Visit our Travel and Visa Information page for information and recommendations for travel. Valid immigration document for the status being sought: I-20 or DS-2019 with travel signature from Rutgers Global - ISSS. The travel signature is valid for 12 months. While not specifically required by regulations, the following additional documents are very strongly recommended when traveling abroad. These documents provide information about your legal status, academic and immigration history in the U.S. They need not be presented unless asked. If your field of study or research is technology or science-related, we recommend you get a letter (on letterhead) from your supervisor, department chair, center director or graduate program director. The letter should explain as much about your program of study and research as possible with the goal of demonstrating that your research does not threaten national security. We advise all international students to carry all original identification and travel documents (I-20/DS-2019, passport) with you even if you are traveling within the United States. F-1 and J-1 students’ passport and I-20 (F-1) or DS-2019 (J-1) must be valid at all times. Take a moment right now to check your passport expiration date and the expiration date on your I-20 or DS-2019, and then mark your calendar to renew or extend them in ample time prior to their expiration date. Your passport should always be valid for at least 6 months in the future. The passport is a document issued by your own country, and every country has its own rules and timeframes on passport renewals. Don’t wait until your passport is about to expire to find out how long it will take to renew, as some countries’ passports can take many months to renew! Find out now how and when to renew your passport by checking on the website of your country’s U.S. embassy (in Washington, D.C.) or consulate (in New York City) or by calling your embassy or consulate. If you are on Rutgers’ visa sponsorship and you need an extension of your I-20 or DS-2019, please follow instructions on our website for an Extension of Program. Before you apply for a job or internship, students should know that rules and laws governing off-campus internships or regular employment can be complex. You don’t need to wait until you have a job interview to find out what those rules are. Our office hosts regular employment workshops to help you learn what types of positions you are eligible to apply for; the procedures and time frames for getting authorization, if eligible; and other issues related to off campus employment, such as traveling abroad while you have an OPT application pending. Upcoming workshops and descriptions can be found on our website. Remember – as an F-1 or J-1 student, you cannot work in paid or unpaid positions without prior authorization! Learn more about employment options relevant to your status and attend one of the upcoming workshops. Are you an F-1 student planning on graduating soon? Interested in working in the US after completing your degree? For students graduating in January, now is the time to begin the OPT application process. Learn about and apply for Post-Completion Optional Practical Training (OPT) at your earliest. Attend the F-1 Post-Completion OPT workshop. This workshop is offered twice a month, and you can find the schedule on our website here. The workshop will cover information about what is OPT, how to apply and how to maintain your legal status while working on OPT. After you have attended the workshop and gathered all of the required application materials, you will need to meet an international student adviser (during walk ins – Mondays, Tuesdays, Thursdays and Fridays from 10:00am –4:00pm) to review all your documents and request a new I-20 with a recommendation for post-completion OPT. Are you planning to start a new degree program at Rutgers or another institution in the United States after you graduate? Learn more about transferring out your SEVIS program here. Uncertain whether Post-Completion OPT is the best option for you? Review our information for graduating students page on our website to better understand your options for remaining in the United States or planning for your departure. While you are at Rutgers, please use the available resources and take steps to protect yourself from scams targeting international students. Unfortunately, there has been an increase in the number of scams targeting unsuspecting international students in recent years. Scammers can pose as immigration officials from the United States Citizenship and Immigration Services (USCIS) and other government agencies like the Department of State (DOS) or the Internal Revenue Service (IRS). Some scammers ask for money with the promise of finding you a job. These scams can be very sophisticated, some-times with an apparently government phone number appearing on your caller ID, or the caller knowing a lot of your personal information. As you pursue your program of study in the U.S. and also search for valuable employment/internship opportunities, please be aware that these fraudulent activities exist and that you need to protect yourself from them. Exercise caution in your activities – such as paying your term bill, accepting any offer of employment, making payments over the phone, sharing your personal information, etc. Beware of scams and consumer fraud. We have become aware of a large student involvement with auto dealers who are claiming to sell cars to our international students but fail to deliver title, registration or insurance in our students’ names. The cases may involve legal issues which could include failure to pay sales tax; no contract to prove ownership; possible theft of identity; driving while uninsured; driving without registration; and, insurance fraud. It is very important for our international students to deal only with reputable and licensed auto dealers. Do not sign a contract for purchase without having it reviewed by an attorney. Do not accept delivery of a vehicle without title and registration in your name. We recommend that you do not purchase or lease a car from an out-of-state dealer, which makes it more difficult to defend your rights. If you believe that you already have issues as a result of a car purchase or lease, see us right away. We are happy to assist at the Office of Student Legal Services. Please contact us before buying or leasing a car in New Jersey. It is important that you also understand insurance protection when purchasing a policy. All consultations are free and strictly confidential. Beware of signing a lease, or any contract renting property, without first having that lease or contract reviewed. Please note that although a rental agreement can be oral, we strongly urge that any lease or rental agreement you sign be in writing. Any lease or rental agreement in New Jersey is a binding contract, however, a written lease affords you more protections. Landlords sometimes take advantage of our students, particularly our international students, who do not understand or have familiarity with landlord/tenant law, or contract law here in New Jersey. As a tenant you have many rights, however, you also have important obligations with regards to renting property you need to be aware of. We recommend that all students purchase renter’s insurance. It is inexpensive and provides important coverage for you and your property. We cannot emphasize enough how important we think it is to purchase renter’s insurance. Please familiarize yourself with the motor vehicle traffic laws in NJ if you are going to get a driver’s license. If you are involved in an accident, always call the police. Do not accept money or promises from other drivers involved, that they will pay your damages if you don’t call the police. It is imperative that you do not leave the scene of an accident and always get a police report regardless of fault. If you get a traffic summons, come to our office before your court date as there may be serious consequences to your driving record if you go to court without first obtaining legal advice. There also may be other less severe options available to you that you would not know without legal counsel. Need to make an international payment? It’s fast, simple and easy. Simply go to https://paymybill.rutgers.edu to log into your student account with your NetID and password. the semester for which you are making payment from the drop down bar, then select Pay by e-Check. Select the “If you want to make a payment using a foreign (non-US) bank account” option and follow the instructions to complete payment via FlyWire, our authorized vendor. Please be aware that this is the only method authorized by Rutgers to facilitate international payments. For safety and security reasons, students should NOT attempt to make international payments through other third party vendors or via direct wire transfers to the University. ***Please note that if you are not enrolled for the semester, or do not have a balance due, your funds will be returned to their point of origin. MESSAGE FOR NEW STUDENTS – HAVE YOU CHECKED-IN? This is a legal requirement of your F-1 or J-1 status, and your status will not be legally activated until you have successfully completed the check-in process. 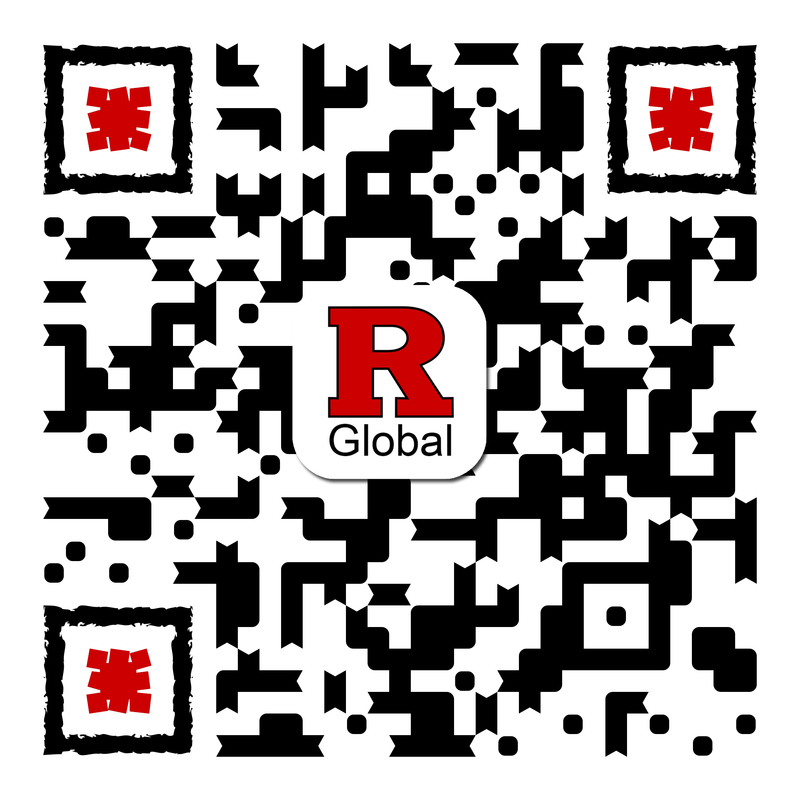 Use your Rutgers NetID and password to login to your RGLOBAL account to complete your information through the check-in form (available under “Orientation” in the RGlobal portal). You MUST check-in immediately, if you haven’t already, and register for a full-course-load of classes to ensure that your record is properly and timely activated. In the online check-in process, you will be asked to upload scans or photos of your passport biographical page, visa page, your I-20/DS-2019, and Form I-94. The easiest way to upload images is to take a clear picture with your phone and email it to yourself. You will receive notification via email once your form has been processed and approved. The Reduced Credit/Course Load Form must now be submitted through the RGlobal student services portal. To maintain legal status, all F-1 and J-1 students must “pursue a full course of study" at all times. This means being registered for a full credit load (12 credits for undergraduates and 9 credits for graduate students). There are cases, however, in which regulations consider a student to be pursuing a full course of study even though he or she NOT actually registered for a full credit load. For example, undergraduates who only need 1 or 2 classes to complete their program, or graduate students who have completed all coursework but are still conducting thesis or dissertation research might be considered to be pursuing a full course of study even though not registered for 9 credits. IF YOU WILL BE REGISTERED FOR LESS THAN A FULL-TIME CREDIT LOAD IN FALL 2018, you MUST submit a "Reduced Credit/Course Load" form to our office. You need approval from our office for less than full-time enrollment in any semester. The form can be completed using the RGlobal Student Services Portal. The deadline for submitting the form is Friday, September 28, 2018. Bear in mind that it takes a few days to process the form after receipt and we cannot guarantee timely processing of forms received after the deadline. This could mean loss of legal status and you will need to leave the country or apply for a re-instatement process with the government. REMEMBER…the “Reduced Credit/Course Load” form can be submitted at any time before the deadline, even before the semester starts. New Walk-In Hours for Advising and Travel Signatures: Walk-in hours are from 10:00am to 4pm on Monday, Tuesday, Thursday, and Friday. We are closed on Wednesday. Find out more details about walk-in hours and our other advising services here. Some student groups have specific advisers and their walk-in hours remain the same as before. Electronic Submission of ALL Applications to ISSS via the RGlobal Portal: The RGlobal Student Services online portal enables international students to complete the essential steps to maintain their legal status, request work authorizations, signatures, and more. All ISSS student services forms can be completed or uploaded through the RGlobal portal. From September 4, we will only accept forms through the portal. Please follow detailed instructions on our website for the new process to submit requests and applications to ISSS. Passport: Your passport should always be valid for at least 6 months in the future. The passport is a document issued by your own country, and every country has its own rules and timeframes on passport renewals. Don’t wait until your passport is about to expire to find out how long it will take to renew, as some countries’ passports can take many months to renew! Find out now how and when to renew your passport by checking on the website of your country’s U.S. embassy (in Washington, D.C.) or consulate (in New York City) or by calling your embassy or consulate. Before you apply for a job or internship, students should know that rules and laws governing off-campus internships or regular employment can be complex. You don’t need to wait until you have a job interview to find out what those rules are. Our office hosts regular employment workshops to help you learn what types of positions you are eligible to apply for; the procedures and time frames for getting authorization, if eligible; and other issues related to off campus employment, such as traveling abroad while you have an OPT application pending. Upcoming workshops and descriptions can be found on our website. F-1 students who will be getting a October 2018 degree and who plan to apply for post-completion OPT should plan to submit an OPT application as soon as possible. While the USCIS deadline for post-completion OPT applications is 60 days following degree completion, it takes 2–3 months for USCIS to process the applications. All students applying for post-completion OPT must attend a Post Graduate Employment Workshop - prior to meeting with an international student adviser. Please check our workshop schedule for details and the upcoming schedule. In a final rule published on August 31, 2018 without the opportunity to comment, the Department of Homeland Security (DHS) is increasing the Form I-907 Premium processing fee charged by U.S. Citizenship and Immigration Services (USCIS). The adjustment increases the fee from $1,225 to $1,410, effective October 1, 2018. Applications postmarked on or after that date must include the new fee. Please keep in mind that premium processing fee is optional. Premium processing allows filers to request 15-day processing of certain employment-based immigration benefit requests if they pay an extra amount. The fee is paid in addition to the base filing fee and any other applicable fees. Premium processing is currently authorized for certain petitioners filing a Petition for a Nonimmigrant Worker on Form I–129 or an Immigrant Petition for Alien Worker (Form I–140 ) seeking certain employment-based classifications. At Rutgers University, the fee increase will affect the following employment-based classifications - H-1B, O-1 and permanent residence/green card. Applications that are currently pending with USCIS are eligible for an upgrade to premium processing at the current fee of $1225 until September 30, 2018. Please contact us if your department wishes to upgrade a pending petition. In that case, our office must receive the check at least five (5) business days prior to October 1 in order to give us enough time to process the request and mail it to USCIS in a timely manner. Please also notify us immediately if your department wishes to utilize premium-processing fee for a new petition – Ruimin Zhang (rzhang@global.rutgers.edu) for H-1B petitions and Asenath Dande (adande@global.rutgers.edu) for other petitions.